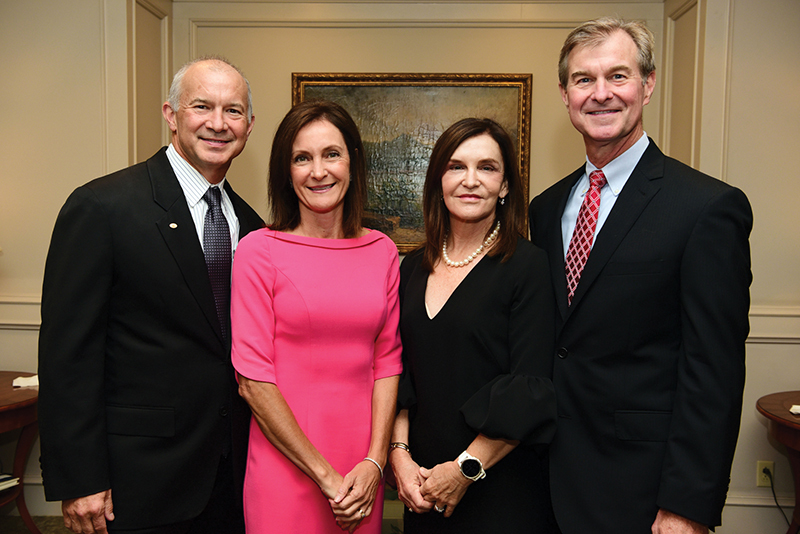 “Lambeth House Foundation Toasts the Tricentennial” was the theme of the 11th annual festive gala that saluted the city of New Orleans. Funds raised from the gala directly support Lambeth House residents in times of need, to make improvements in our community and for research that benefits senior citizens everywhere. For the fête, Lambeth House was adorned with flowers and drapery in red, white, blue and yellow, and featured table numbers assigned by small versions of famous New Orleans street signs. Republic National Distributors sponsored an open bar and food was provided by Executive Chef at Lambeth House Jacques Saleun. Guests enjoyed an elaborate menu, which included passed hors d’oeuvres, a buffet and dessert. The quartet Cool Breeze performed New Orleans-themed music in the backdrop as guests mingled and dined. Guests also had the option to choose from a wide selection of auction items that included backstage access to the set of “NCIS: New Orleans”, hotel and sports packages, artwork by Terrance Osborne and a topaz necklace from Symmetry Jewelers. Live auctioneer, Chris Franklin from WWL-TV, entertained and excited the crowd. Linda and Pierre Conner and Beth and Stephen Conner served as Event Chairs. Approximately 200 people attended the benefit.